The Hydrangea Tree is a beautiful specimen that grows fast to a height of 7 to 12 ft. Nursery grown trees are 1 to 3 ft. Tall, having an energetic system of roots. Their fragrance attracts butterflies, offers resistance to deers and is ideal for cuttings. Hydrangeas are timbered shrubs that blossom. You need to make a good choice of the correct varieties, pruning them to the form of trees and since it grows very fast, it is essential for you to carry out the maintenance all through its life for it to grow as a tree. 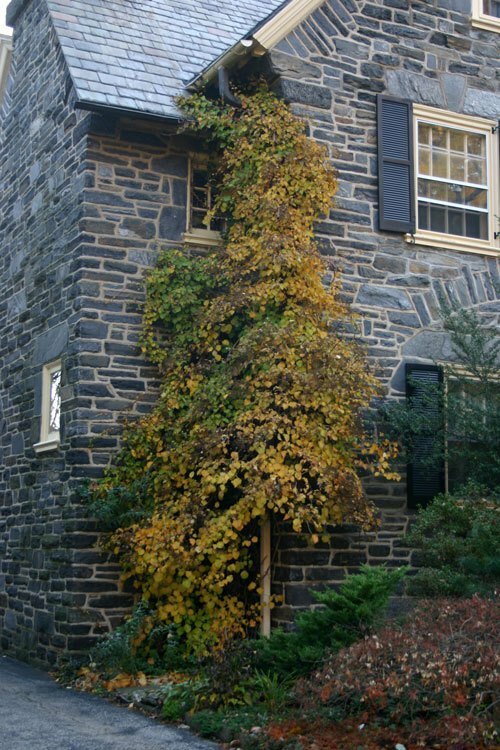 Most of the shrubs are 1 to 3 meters high. And the other climbing plants of tropical forests grow up to 30 meters (98 ft), creeping up the trees. It is possible for them to either belong to the evergreen or deciduous variety, even though the species that are cultivated in the wild are the temperate species, all are deciduous. The hydrangea is also called Hortensia. This is a genus comprising of 70 to 75 types of blossoming plants inhabiting the eastern and southern Asian countries (Japan, China, the Himalayas, Korea and Indonesia) and also the Americas. By and large, the largest variety of ranges belongs to the Eastern regions of Asia, particularly Korea, China and Japan. Hydrangeas flourish well in soil that is properly drained, fertile, moist and incomplete or in partial shade. When selecting hydrangea flowers of blue color, inspect the pH value of the soil in spring, In order to bring down the pH value of the soil to the range of 5.2 to 5.5, add aluminum sulfate. The color difference in the hydrangea flower is a result of the lower pH and the higher content of aluminum in the soil. It is crucial to plant the hydrangea in the proper site. The difference in locations is seen in the shrubs that bloom in abundance and those that provide undernourished blossoms despite hard work. All the varieties of hydrangeas flower and grow well during the morning sun and in the shade during the afternoon. This is a fact with regard to the hydrangeas that are commonly grown, the Macrophyllas. They are the pink Mopheads, Lace Caps and the blue ones. Plant your Hyndragea in a soil that is properly drained! In case your soil is heavy, then put in roughage like pine bark mulch. An excess of water, particularly in clay soil, results in rotting of the roots. Avoid planting very deep, when transplanting, plant it at the same depth it was planted in the pot. Plant Hydrangea either in late fall or the beginning of fall. Keep the Hydrangea in a place where sufficient moisture is available. Hydrangea planted under a tree mostly, does not grow well. If possible, plant in fall or beginning of summer. Hydrangeas are a bit choosy with regards to watering. Water them properly weekly once. At drought or when there is a long gap between rains, water the roots well using a hosepipe. Think of using drip irrigation for systematic and convenient method of watering. When compared to the other Hydrangeas, this one is more adjustable to cold climates; however, they need a great amount of sunlight. When the summer is too hot in the afternoons, gardeners must give the tree a little shade. Beginning of spring and towards the end of autumn is when the Hydrangea starts blooming. Their growing pattern is in the form of flower heads (panicles or corymbs) at the tip of the stem. The ideal time for providing fertilizers is the commencement of spring, prior to the fresh growth of the plant. Therefore, once blooming is over, add fertilizers once again, but before mid August. Hydrangea trees are pruned any part of the year, except in summer, but the suggested time for pruning is during the commencement of spring. Prior to pruning, visit the canopy of the plant and discard the aged growth of twigs which are barren or that which produces tiny flowers, when compared to the rest of the big branches. Inspect the plant for suckers, or tiny sprouts emerging from the soil, below the bottom of the hydrangea tree. It is also possible to find small suckers sprouting from the trunk; cut them off flush to the trunk. For maintaining the canopy of the hydrangea tree neat and clean, cut all the branches, retaining only two to three nodes as tiny bumps throughout the length of every branch. Hydrangeas favor soil that is moist, but not soaked. Therefore mulch placed in a layer round the base of the plant will aid in conserving moisture. Besides retaining moisture, mulch produces a landscape with a good appearance and restricts the weeds that a sore sight. Hydrangeas are normally sturdy shrubs. The reason why some flowering woods do not flower is because of the damage done by the frost, excess keenness in pruning, untimely pruning or feeding excess of fertilizers rich in nitrogen. The hydrangea is at times affected by pests, like hydrangea scale, scale insects, aphids, capsid bugs and vine weevil. 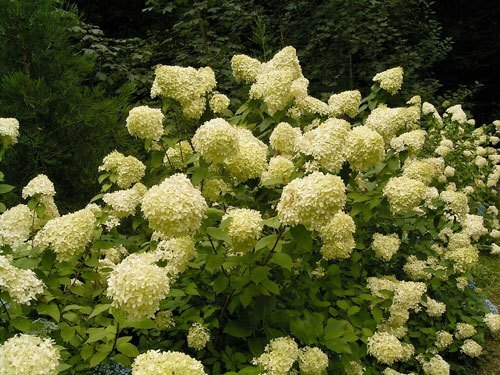 Hydrangea Arborescens or ‘Annabelle’ is a type that is compact, inhabiting the regions of the North Eastern America characterististing big clusters of blossoms in the form of snowballs. Hydrangea Macrophylla or ‘Big Daddy’ is characteristic of the biggest flowers of any variety of hydrangea. This plant possesses sturdy stems, favoring the blooms apt for cutting. 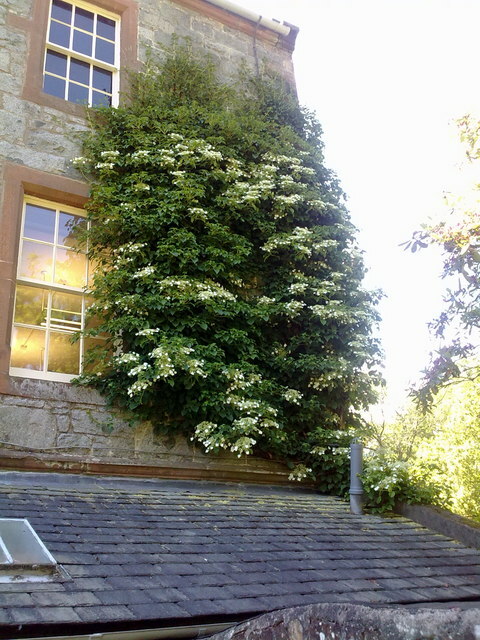 It grows to a height and canopy width of 6 feet. Hydrangea Macrophylla or ‘Normalis’ is of a Lace Cap type having a big, white, floret of star-shape flushed with pink. It has, in addition, dark green leaves, and grows to a height and canopy width of 5 feet. Hydrangea Macrophylla or ‘Nigra’ is a perfect choice with bunches of pink or blue Mophead blooms on bright purple-black stems. It grows to a height and width of 6 feet. Hydrangea Serrata or ‘Bluebird’ is a variety of Lacecap with dark blue bunched flowers bordered by pale blue sterile flowers. This variety is also characteristic of the red colored leaf. It grows to a height and width of 4 feet. Hydrangea Macrophylla or ‘Blue Bonnet’ is a variety of periwinkle-blue rich flowerheads on a plant that grows to a height of 6 feet and width of 8 ft.
Hydrangea Involucrata or ‘Wim Rutten’ is a Lacecap that reblooms; the flowers are blue in color beginning midsummer right up to frost. It grows to a height of 4 feet and width of 5 feet. Hydrangea Macrophylla or ‘Berlin Rabe’ exhibits big clusters of pink flowers that last for a long time on erect and stiff stems. It grows to a height of 3 feet and width of 4 feet. Hydrangea Macrophylla or ‘Paris Rapa’ is ideal where the space is limited, its stem is erect and its habits are compact. The everlasting fuchsia pink colored flowers become green when they fade. It grows to a height of 3 feet and width of 4 feet; they are in the 5 to 9 zone.